Freed from the need to sprint to the finish line, the writers had room to explore their themes a bit more deeply. This meant padding at times, but on other occasions, it gave the material a chance to breathe and draw us more deeply into the world of the story. Take Captain Benteen’s description of Earth in “On Thursday We Leave for Home“. Or Charley Parkes’s heartfelt plea to Alice, the weeping dollhouse inhabitant, in “Miniature“. Or the two long quotes I’d like to highlight today from “Passage on the Lady Anne”. Love has its own particular point of view. It sees everything larger than life. Nothing is too ornate, too fanciful, too dramatic. Love demands the theatrical, and then transfigures it. It turns the grotesque into the lovely, as a child does. With it, we can see what we wish to see in other people. Without it, we can’t see anything at all. People aren’t in their right minds anymore. They sacrifice leisure for speed. And speed’s the only thing that matters. They’re going to condemn the Lady Anne because she represents a way of life. The old way. She has grace, manners, tradition. And now they’re going to scrap her. Nothing is sacred anymore. The beasts are at the gates, but we’re too old to fight, so we have to stand around like pathetic statues, with our medals tarnished and our swords broken, while the vandals turn our castles into sideshows and stick up nasty little advertisements for soap all along the roadside. And now they’re going to scrap the Lady Anne. But I warn you, how are we going to stop them from scrapping the whole world? You can enjoy “Passage on the Lady Anne” on DVD and Blu-ray, or stream it on Hulu. 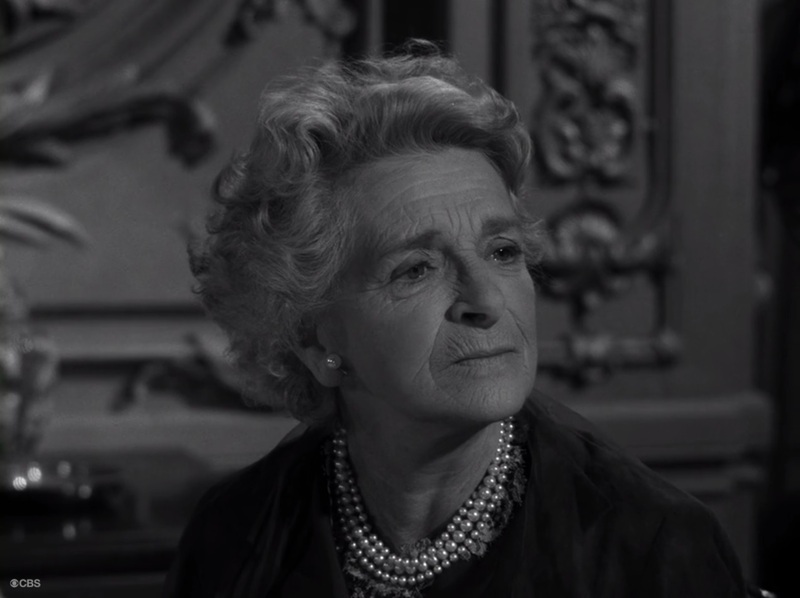 Posted on 08/03/2018, in Twilight Zone and tagged Charles Beaumont, Passage on the Lady Anne, Richard Matheson, Rod Serling, Season 4, Twilight Zone. Bookmark the permalink. 15 Comments. 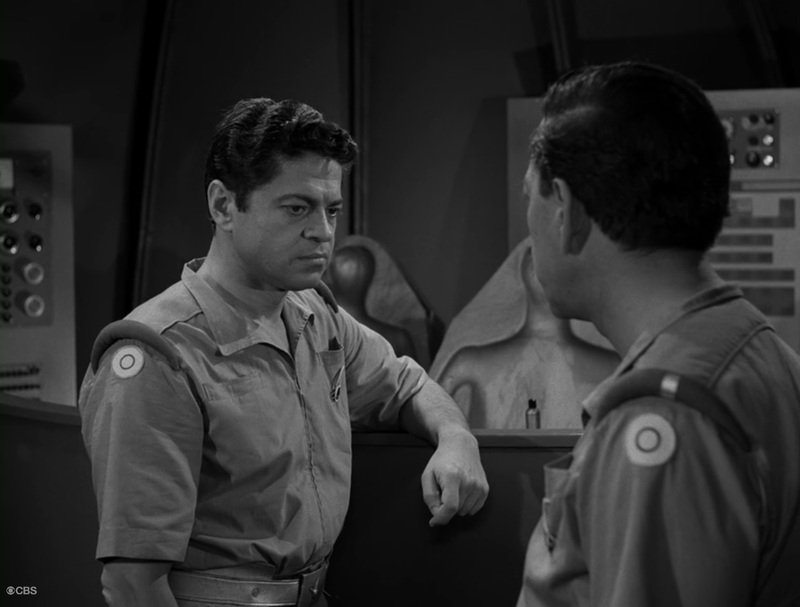 TZ was cancelled at the end of the third season, returning as a mid season replacement for a 60 minute show that failed, I enjoy the episodes of the 4th season very much, AND it allowed The Twilight Zone to return for a fifth season, with many more wonderful stories to cherish. Thanks, Howie! Since my intention was to focus on the quotes, I didn’t want to bog readers down too much in how and why Season 4 unfolded, but yes, it WAS a mid-season replacement. (I should note, though, that it wasn’t so much cancelled as it sort of lapsed, but I’ll save the details for another time.) I’m with you in your enjoyment of Season 4, and am certainly glad we got Season 5. Sure, it wasn’t as consistently good as the first couple of seasons, but we still got a number of excellent episodes. One of the things I don’t like about Netflix is the absence of season 4. In fact, as I write this, Season 4 is in the DVD player. I love “Passage on the Lady Anne” and “Miniature.” The passages you quoted are among my favorites. Right? I can’t imagine it’s THAT much more expensive to pay the licensing fees for Season 4 when you already have the others, but with so many other classic series being dropped these days, I suppose we should just count our blessings. I’m grateful that Hulu carries S4, but yes, it’s best on disc. Glad you enjoyed the quotes, Dan. Speaking of being better on disk, have you noticed that the episodes on Netflix are trimmed a little? I don’t know why that would be, but I watch sometimes, and I get to a point where I’m sure I know the next line, and it’s missing. Maybe it’s my imagination, or maybe I just wink out for a second or two, but I swear something’s missing. Really? I must say, I have not noticed that. I wonder if it seems that way because (unlike the discs) there are no ad bumpers or next-week promos. Maybe Talky Tina is messing with you. Maybe. I can’t be sure. If I think I notice it again, I’ll do some research. 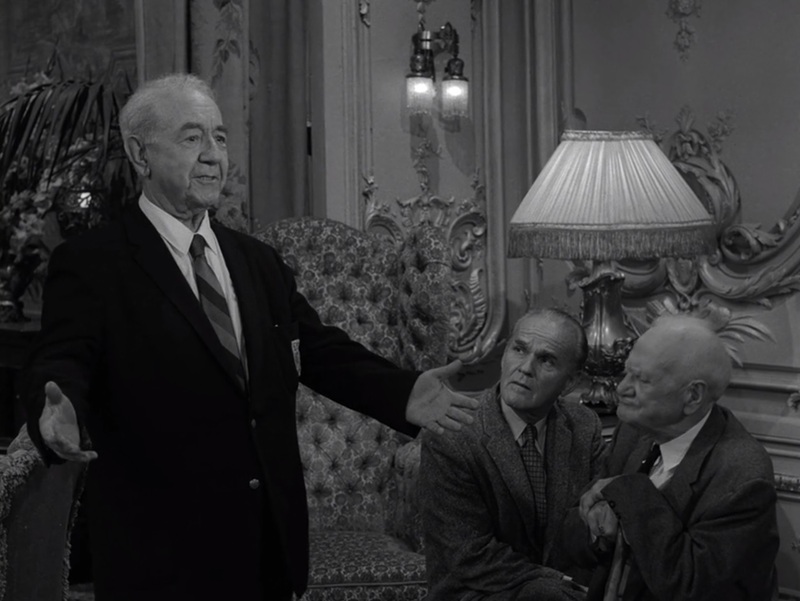 Very poignant thoughts, and quotes from TZ episodes Paul! Much appreciated! What writers TZ had. I have never understood the criticism and hate towards season 4. I do agree that the longer episode running time was a mistake, but most of the episodes in this season were still quality. Miniature is one of the most moving and unforgettable episodes in the entire series. The Thirty-Fathom Grave, Death Ship, On Thursday We Leave For Home, Printer’s Devil, The New Exhibit, No Time Like The Past and Jesse-Belle are all excellent too. I actually think that season 5 is the weakest season of the entire series. It had a few good episodes such as In Praise Of Pip, Nightmare At 20,000 Feet, I Am The Night-Colour Me Black, Night Call, The Masks, An Occurrence At Owl Creek Bridge,Stopover In A Quiet Town(not the best of episodes, but I didn’t see the twist coming) but so many of the episodes are terrible. This is not a season I return to very often. I couldn’t agree more. 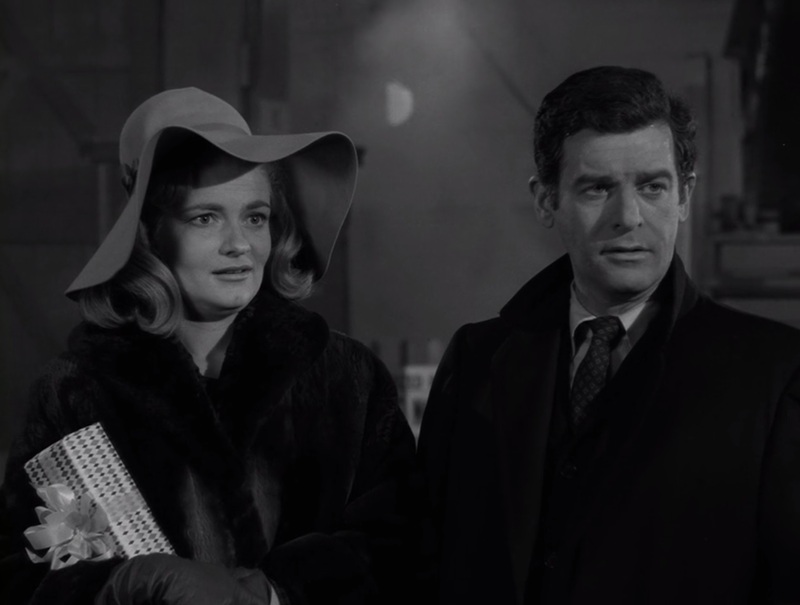 Sure, the half-hour ones gave us the perfect showcase for what became the TZ formula, but we still got some terrific stories in S4. And yes, S5 overall is the weakest, despite some terrific episodes. Being a Twilight Zone fan I’m almost ashamed to admit I had never seen this episode. I’m reminded of what Brooks stated in The Shawshank Redemption. “The world went and got itself in one big hurry.” The second passage that you quoted was chilling and very true. A sign of the times if you will, then and now. In terms of the hour long episodes Miniature and The new Exhibit are my favorites. Excellent article!! Thanks, Nick! You’re right — it does align with what Brooks said in Shawshank (and how appropriate, given that James Whitmore starred in one of Season 4’s best episodes, “On Thursday We Leave For Home”).